As Cayuga Heights changed from farmlands to suburb and its population grew, the community needed a larger, modern school to replace the old Kline Schoolhouse. ​In 1920, the Twenty-second School District became the Union Free School District No. 6. 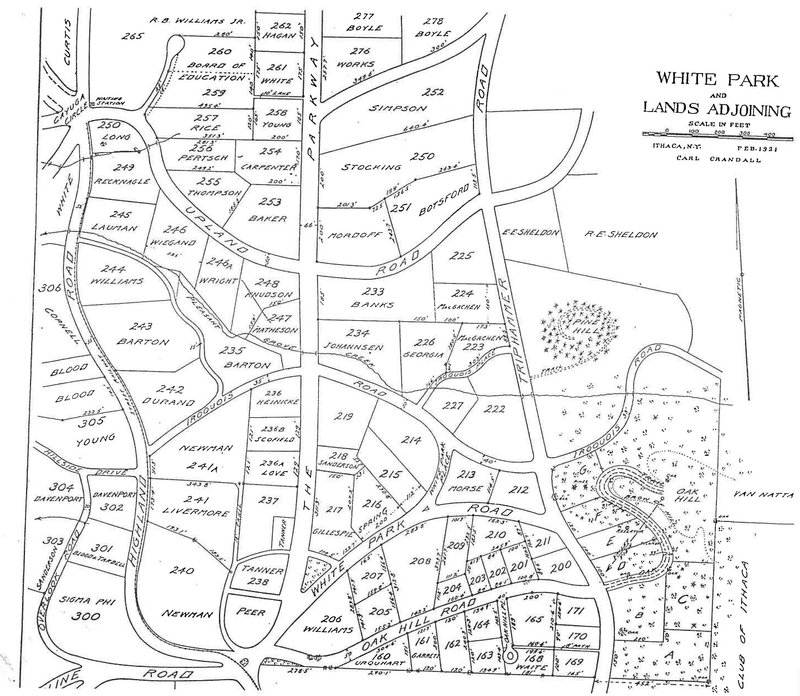 Jared and Jane Newman transferred two lots at the intersection of Upland, Highland, and Hanshaw Roads--then known as Cayuga Circle--to the district's Board of Education in the same year. The adjoining property owners to the southeast, Benjamin and Nola Young, sold a ten-foot strip to the school district for a driveway to the school lot from The Parkway. "Note the spacious area (Lots 259 and 260, about two acres) purchased by the Board of Education for its Union Free School, intended to be a model of its kind, and to care for the education of children through the Junior High School under the most favorable auspices.You will be pleased with the unconventional character of the architecture of the school building as now planned." As Newman intended, the central location of the school added to the appeal of Cayuga Heights for families with children. The Cayuga Heights school district made plans for a new building, which would come to be known as Hitchcock Hall after its first principal, Martha Hitchcock. Drawing for the Tudor-style Hitchcock Hall, which was completed in 1923.